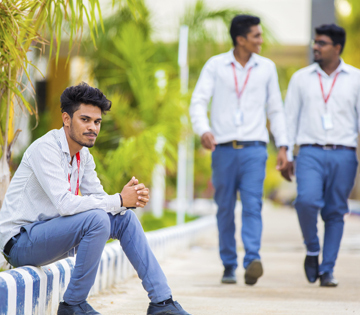 Students of ROHINI College of Engineering and technology enjoy the vibrant and a student-centered environment that supports to achieve their academic, professional and personal goals. 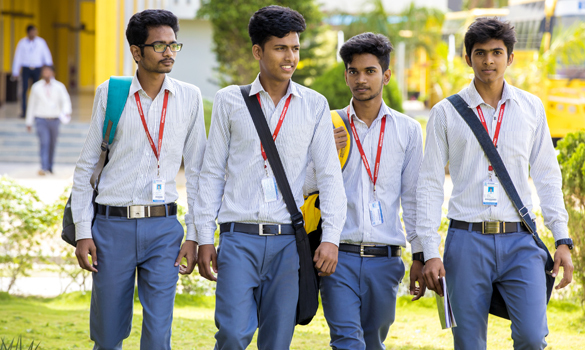 ROHINI College of Engineering and technology aspires to educate, edify and enrich its students by providing relaxation and entertainment along with their Curriculum. Students learn best by doing through the highly sophisticated labs and also get opportunity to gain career-related work experience through internships. Students relishes quiet corners, landscaped gardens, cafes and common rooms where you can relax and spend time with friends. Students get wider opportunity to share ideas and cooperate with diligent Faculties..
Students of are exposed to a variety of social, cultural, intellectual, recreational opportunities. Such experiences fulfill the lives of the students and enrich with wide potential .Co-curricular and extracurricular activities are executed by a number of associations, clubs, and societies. They are managed by students' representatives and monitored by faculty in charges. Rotaract club of Rohini play a vital role in the history of RCET. It has been invlolved in many activities for the welfare of the students and the society. Rotary club of Nagercoil and Rotaract club of Rohini have conducted many awareness programme, Blood Donation Camp, Eye Screening Camp and Cultural competition. It enhance the budding talents of the students and prepares them to become a good leader of our future India. We feel proud that Rotaract club of Rohini paves a way for our students to reach the destination of their support and encouragement. We also thank programme Coordinators and for their contribution in terms of hardwork, commitment, love and concern for the society. The main aim of RRC is to save the life of human being by donating blood. As a part of RRC blood donation camp was conducted twice in Rohini College of Engineering and Technology. More than 500 students were donated blood and saved the life of the people throughout the world. All the students were actively participated in the blood donation camp and they also became aware of their own blood group. The main aim of NSS is to do the welfare of the society and the country. As a part of NSS more than 50 student volunteers have been actively involved in social outreach programme. Students were taken to nearby coastal villages. The people in the village are economically backward and easily affected by TB. In order give awareness on TB, students meet the villagers in their house and told them about the causes of TB. The people in the village are economically backward and easily affected by TB. In order give awareness on TB, students met he villagers in their house and told them about the causes of TB. Miss. Regina, Primary Health Center Agasteeswaram, was the Chief guest. She gave a talk on “TB and its effects”. Students were given TB prospectus and they gave the prospectus to the Siluvai Nagar and Vavathurai villagers. Through this activity the village people got wareness on TB and they were very much benefitted by this programme. The President and the Secretary of Siluvai Nagar Village, appreciated the student volunteers for their social concern. (i) To understand the community in which they work. (iii) To identify the needs and problems of the community and involve them in problem solving process. (iv) To practice national integration and social harmony. Regular Activity: Various activities undertaken by the NSS volunteers in adopted villages/slums for community service on yearly basis. Special Camp Activity: It is a 7 day programme, staying at the adopted village site and doing the various services. It is a comprehensive promotional and preventive service to enhance the attitude of voluntary blood donation as well as mainstream HIV & AIDS prevention, care & support to the needy among the youth in educational institutions. It also prepares and promotes youth peer educators within and outside the campuses. Organize seminars, debates, lectures and popular talks on environmental issues. Conduct campaign against banned carry bags, use of loud speakers etc. Make field visit to environmentally important sites including polluted and degraded sites. Organize rallies, marches, human chains and at public places with a view to spread environmental awareness. Action based activities like tree plantation, cleanliness drives both within and outside the campus.Spread environmental awareness. Action based activities like tree plantation, cleanliness drives both within and outside the campus. LEO Club encourages youths to develop leadership qualities by participating in social service activities. National Service Scheme Cell of Rohini College of Engineering & Technology initiate a Leo Club. This club option offers flexibility to reach new groups of people and serve a variety of communities. To bring a community together, give them the opportunity to make a difference and enable them to see great things happen by chartering a new Lions club". "Leo Clubs were a youth organization and the word "Leo" stands for Leadership, Experience, Opportunity." The members from Leo Club conducts various projects in the fields of health care, elders, children, differently abled, literacy and education, and self-development. Their main role is to conduct projects with another Leo club, sponsoring Lions club, or with an outside organization. Leo clubs were sponsored by Lions clubs and comprise an official program of Lions Clubs International. The Lions Club as a whole, focuses on addressing humanitarian needs, improving eye care, supporting youth and providing disaster relief. LEO Club was the largest youth club of voluntary character in the world, present in 140 countries with over 160,000 members.